Former Ghana Football Association President, Kwesi Nyantakyi, was handed a life ban from all football-related activities by FIFA on Tuesday, following various violations of the governing body’s ethics code, including bribery and corruption. Nyantakyi, a former member of FIFA’s General Council, was found guilty after being filmed by an investigative journalist in a hotel room appearing to take a $65,000 bribe from a supposed businessman seeking to sponsor the Ghanaian football league. He was also fined 500,000 Swiss Francs ($498,000). “The adjudicatory chamber found Mr Nyantakyi guilty of having violated art. 19 (Conflicts of interest), art. 21 (Bribery and corruption) and art. 22 (Commission) of the FIFA Code of Ethics,” FIFA said in a statement. “As a consequence, Mr Nyantakyi is banned for life from all football-related activities (administrative, sports or any other) at both national and international level. 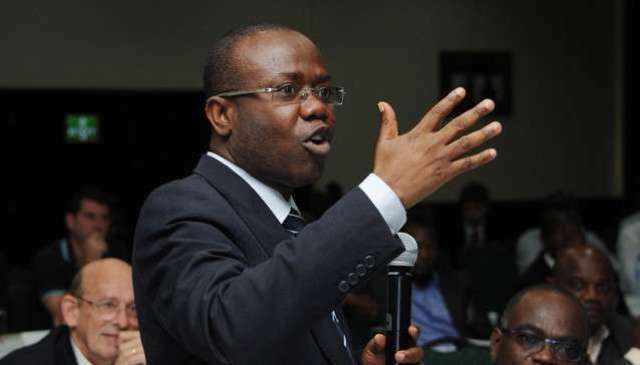 Nyantakyi resigned in June after a recording by undercover journalist Anas Aremeyaw Anas appeared to show him demanding kickbacks to pass on to top government officials, including the presidency. He was also a former vice-president of the Confederation of African Football. Nyantakyi later apologised to Ghana president Nana Akufo-Addo and the government for what he called his “indiscretion”. He denied any wrongdoing regarding match fixing. The scandal, along with undercover footage that showed numerous match officials receiving bribes, forced the suspension of the Ghana Premier League in June, which has still not resumed. Former Ghana Football Association (GFA) board member Kofi Amoah was placed in charge of a four-member normalisation committee in September tasked with steering the affairs of football in the country for the next six months. Nyantakyi and the Ghana FA could not be immediately reached for comment on Tuesday. $1 = 1.0048 Swiss francs.